You are here: Home / Business Loans / Have You Applied For Aadhaar To Avail A Small Business Loan, But Not Received It Yet? You Can File A Complaint! Have You Applied For Aadhaar To Avail A Small Business Loan, But Not Received It Yet? You Can File A Complaint! If you want to take a small business loan, you should have an Aadhaar with you. If you have applied for an Aadhaar and haven’ got the receipt or haven’t received it yet, then you can file a complaint. The concerned person must be an Indian Resident, who has applied for Aadhaar. He/she must have the enrollment number – This number is mentioned on the enrollment slip. It is necessary to understand that Aadhaar Card Complaints, need not be actual complaints – they could also be regular queries regarding Aadhaar. File a complaint through the Grievance Centre link – https://resident.uidai.net.in/file-complaint and fill in the details to lodge a complaint. If a resident does not receive the Aadhaar letter, he/she should contact UIDAI Contact Centre with his/her Enrollment number. Also Read: Does Professional Experience Matter For Small Business Loans? 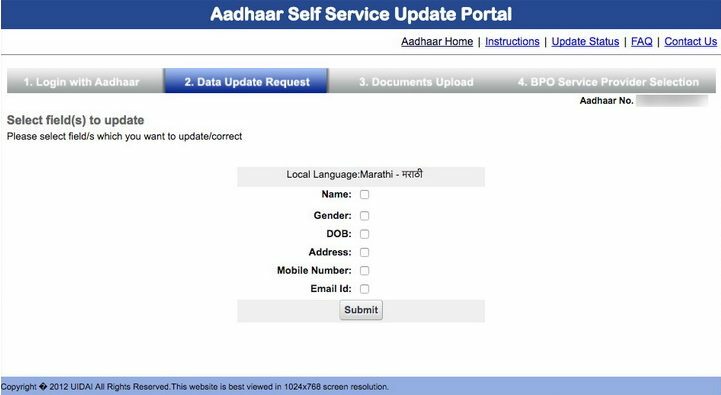 Step 1: The resident must send the information (given at the time of enrollment) in the following template by email to the UIDAI Helpdesk at help@uidai.gov.in. Enrollment slip number with the date time stamp, name, pin code, and mobile number must be entered. 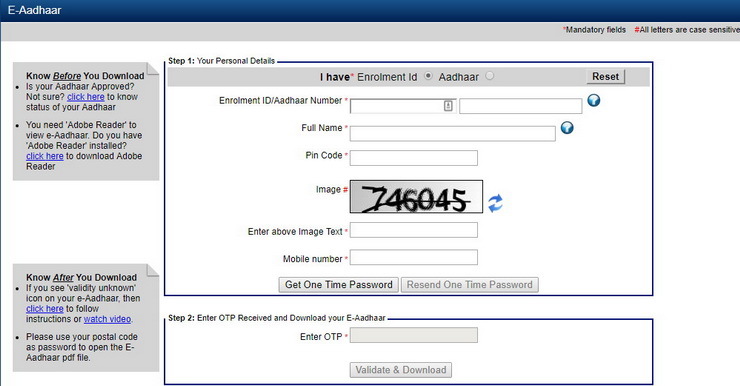 Then, a one-time password will be sent to the registered mobile number which must be entered to download the eAadhaar. A printout of the same can be used by residents. The downloaded file will also be password protected – the password is a combination of the first four letters of your name and your year of birth. Residents can contact the Centre (through phone/letter/email) with the enrollment number and make a request for sending a second letter with the Aadhaar number. This may be a paid service. In case Aadhaar has been used to avail a service or benefit, the resident can contact the agency that offers the same, to obtain Aadhaar number. During enrollment, when data is entered, residents are expected to check the details and point out errors, if any, at this stage. Prior to finalization and printing of the Acknowledgment, one more chance is provided to make corrections. When both the opportunities are missed, the demographic correction may be carried out by visiting the Enrollment Centre within 48 hours of the time of enrolment carrying the relevant documents and enrollment slip. Not all enrolled citizens will get Aadhaar numbers; their enrollment can get rejected due to various reasons. In such cases, the reason for rejection and steps to be taken post rejection will be communicated to the resident. Be under processing, or be in transit, or have been rejected. However, it takes a certain amount of processing time from the date of enrolment before the Aadhaar Card or UID gets generated. This time varies from location to location and can be, in the worst case, up to 8 weeks from the date of enrollment. The Registrar/Enrollment Agency plays a vital role in providing grievance resolution for an individual’s Aadhaar Card Complaint. The registrar can place a team to quickly address any matters requiring resolution that cannot be solved by the self-help portal. However, the same may be conveyed to the UIDAI Contact Centre. Those queries/ grievances that require Registrar/Enrolment Agency’s support will be transferred to the Registrar appointed Nodal Officer through a web portal. If you need an unsecured business loan, you can contact Gromor Finance. Gromor Finance has a simple and safe online application process, and the loan disbursal is also as quick as 3 days or less!